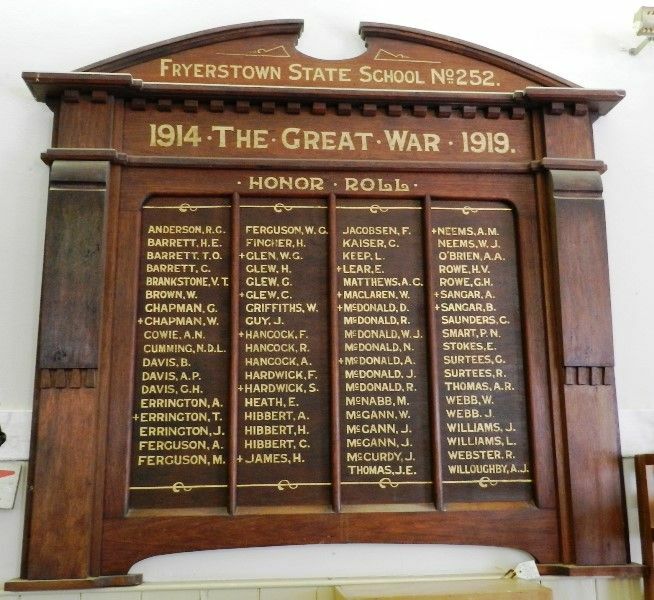 The honour roll was unveiled at the school by Mr Lawson M.L.A on the 10th May 1924 and contains 73 names, 14 of whom made the supreme sacrifice. The Argus, 13th May 1924. Fryerstown State School No 252.